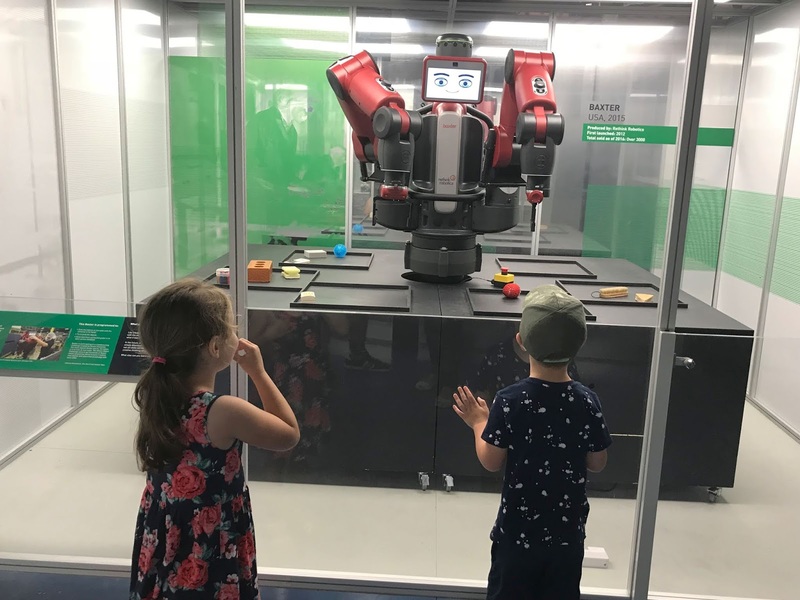 The Life Science Centre in Newcastle always has interesting exhibits on, a couple of years ago we visited the Animal Inside Out exhibition and this summer it is the turn of the robots. Robots - then and now tells the 500-year work in progress story of the building of automated machines. You will discover 16th-century mechanical automations to the latest humanoids and everything in between. Robots are not really anything that I have ever shown any interest in but my other half and little boy love anything like this so we decided to visit the Life Science Centre to see what the robots were like. Robots Then and Now is a family-friendly exhibition and is suitable for all ages, my children are 3 and 5 and they were interested and old enough to enjoy the exhibit. 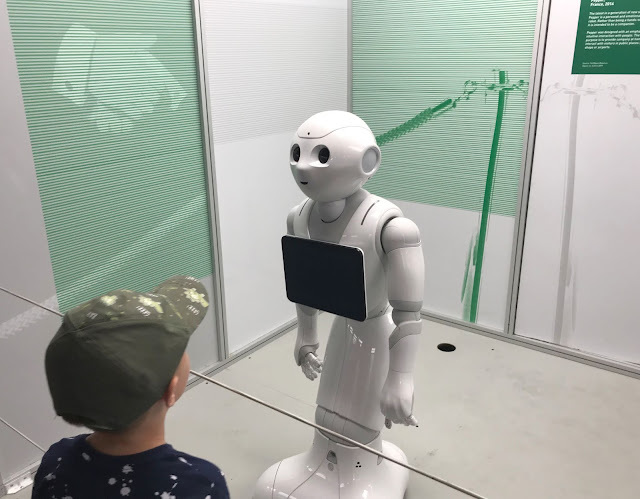 The exhibit features old and new robots and had a good range of robots on display. There were big life-size robots that you could imagine being in children's TV shows, to T800 Terminator from the film Terminator Salvation. 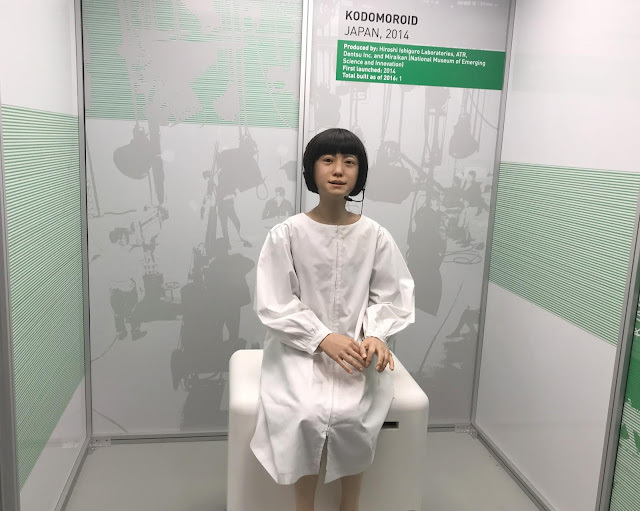 They had robot machines like you would find in car factories, toy robots and even a very lifelike Kodomoroid. Some of them were interactive and would film you, answer questions, follow you with their eyes and one even fist bumps you. The interactive ones were definitely the ones that appealed to my children the most. 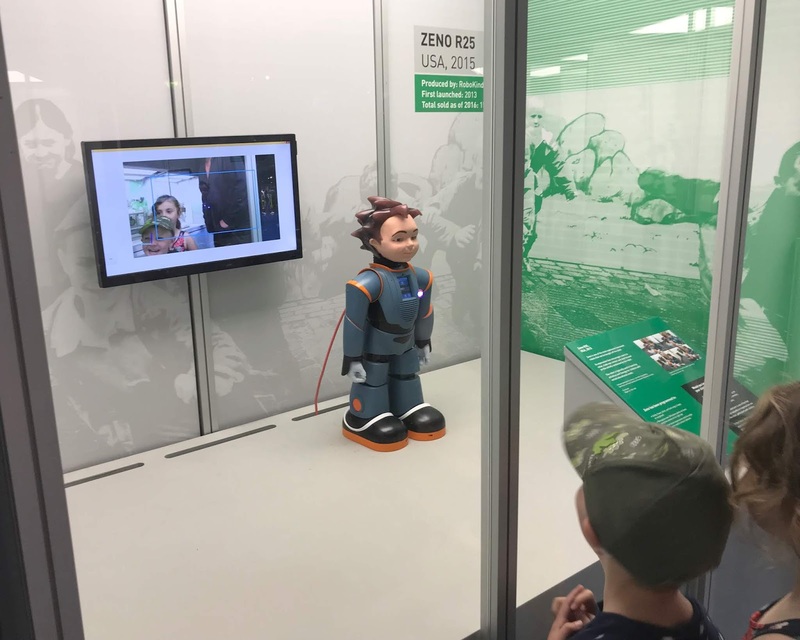 There was lots of information about each robot and displays of smaller items and posters as well as video footage playing around the exhibit. 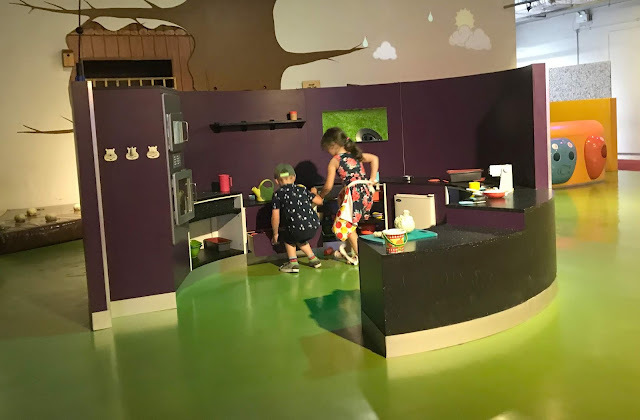 My children are still young so they did whizz around the exhibit and we had seen it all in around fifteen minutes, however, it is recommended you spend around an hour looking at the exhibit. The thing I like about the Life Centre is that when you pay to get in your not just paying for the exhibit but you can also experience the rest of the centre. My children were too small for the 4D Motion ride, planetarium astronomy, science theatre and science zones as most of these were for children aged 7+. 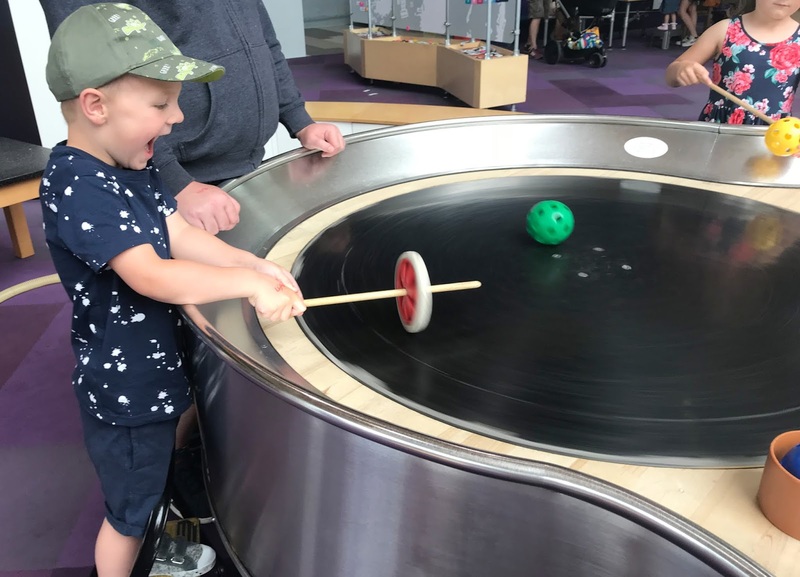 My son was also too young for the robot animation (ages 5+) however he had lots of fun in the curiosity zone, working out how things work as he is fascinated by anything like this as he is really into fixing and building things. 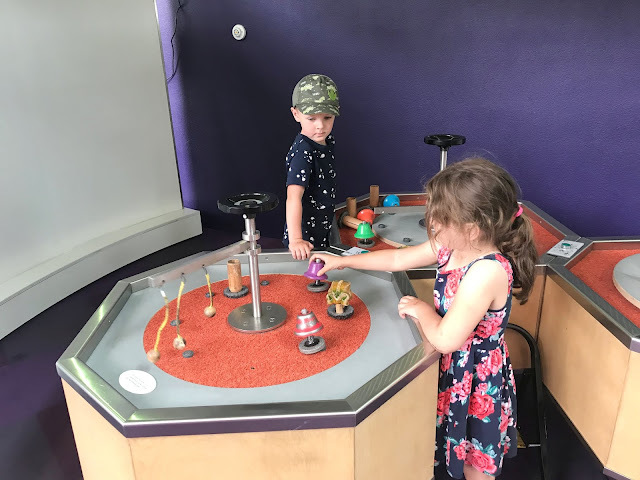 Even though my children were too young for a lot of things they were the perfect age to enjoy the brilliant Young Explores Zone situated upstairs. My children love this area and could have spent all day playing here if we had of let them. The area has a role play area with shop, kitchen, tree house and a construction area. They have giant games, model railways and building blocks, story corners and lots of dressing up outfits. We spent a good few hours at the Life Science Centre and could have easily stayed all day as the children had a good time exploring and learning. We even stayed for lunch which was reasonably priced (£4 for a child meal and drink). 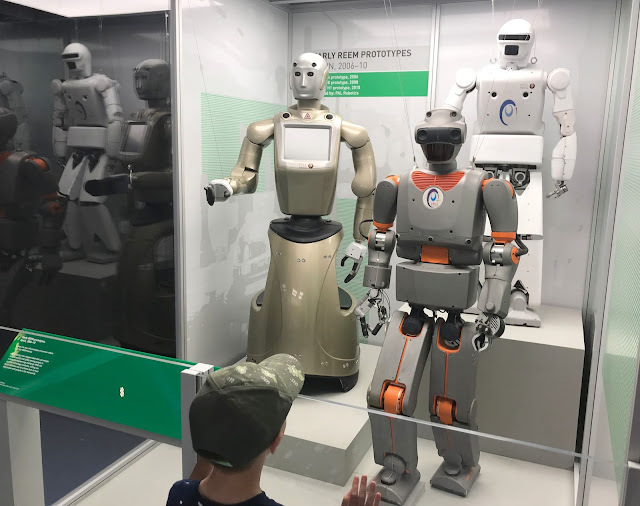 If you are looking for something different to do with your children this summer then it is worth a visit to the Robots Then and Now exhibit, it is a day out the whole family will enjoy. To find out more about Robots Then and Now and to book visit www.life.org.uk They currently have a great offer on where you can get 20% off day tickets for during the summer holidays if you book online before the 16th July 2018. So if you are planning on visiting it is well worth booking now so you can take advantage of the saving. 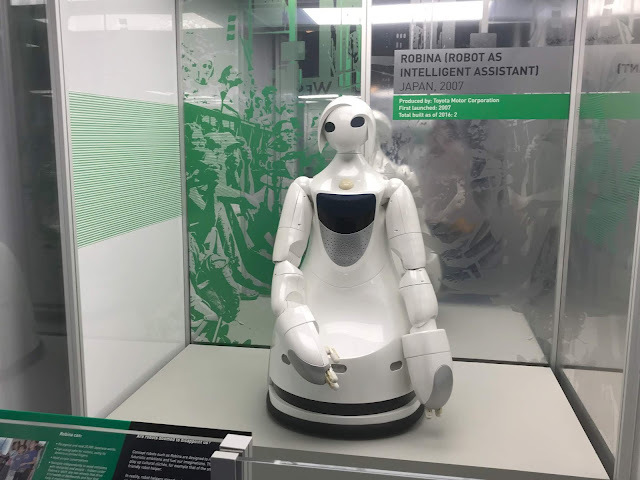 Have you visited the Robots - Then and Now exhibit? if so let me know what you thought in the comments below. Disclosure I received complimentary entry and lunch in exchange for this review, however all opinions are my own.